I strongly recommend that you read this short paragraph a few times. Embrace it without too many questions. It is powerful teachings. 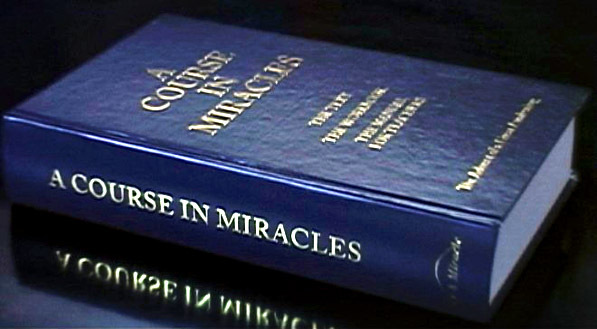 Back in 1994-1995, I used to facilitate A Course in Miracles. The Course tells us that by teaching what we wish to learn, we learn it. So I did. And I continue to do so with everything I do. I wanted to learn about Vulnerability so I wrote a book about vulnerability. I speak and teach the insights of living your life in Vulnerable Authenticity and Authentic Vulnerability, around the world. The more I teach, the deeper I dive into my vulnerability, the stronger I embrace my authenticity. Vulnerability and authenticity is about being Real. And guess what the first page of the first volume “Text” of A Course in Miracles tells us? You don’t have to try to understand this short message right now. Just let it’s energy, it’s vibration sit with you and see what comes up. Koop is Oscar Simonsson & Magnus Zingmark. Why a Mother’s Day, a Father’s Day, a Women’s day, an Earth Day, etc? Are we so totally disconnected with each other that we need a special DAY to remind us? Really? Are we so totally disconnected with our purpose and our true essence, that we need something from the outside world to remind us? Something created from the mind of man? Because Mother’s Day was just here, I will focus on that one. The modern holiday of Mother’s Day was first celebrated in 1908, when Anna Jarvis held a memorial for her mother at St Andrew’s Methodist Church in Grafton, West Virginia. So what was happening before 1908? The first observance of a “Father’s Day” was held on July 5, 1908, in Fairmont, West Virginia, in the Williams Memorial Methodist Episcopal Church South. They got jealous or inspired, who knows, to create their own day. Wikepedia says: Mother’s Day is a celebration honoring the mother of the family, as well as motherhood, maternal bonds, and the influence of mothers in society. I don’t know about you but I don’t need to be reminded to honor and celebrate my mom. I just did that, one week before Mother’s Day. Why did I do that? Just because I wanted to do this and that I could. And that is the whole secret behind honoring and celebrating someone. Do it when you feel like it. Why? Because they will feel it. They will feel if your heart is into it or not. Especially when they are getting older. It’s like they have a seventh sense and they just know. They probably won’t say anything, and will pretend to be tired and that it’s time to take them back to their place, but they are much wiser than you and me. Honoring and celebrating is about being authentic in your gifts. And for that you don’t need an official date on the calendar. You need to stop and be present with your love and respect for whom you want to celebrate, honor and remember. Don’t go by the calendar. Go by your Heart! And now we have Justin Trudeau, Prime Minister of Canada and Barak Obama, President of the United States, allowing their Vulnerability to come through. How refreshing! 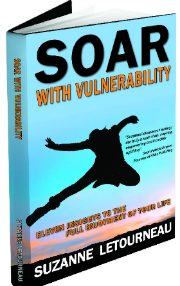 In my book SOAR with Vulnerability I say that Vulnerability is your strength, your untainted power. And that you are only Invulnerable when you are in fear. Perhaps we are starting to realize that vulnerability brings us closer together, and that invulnerability separates us. 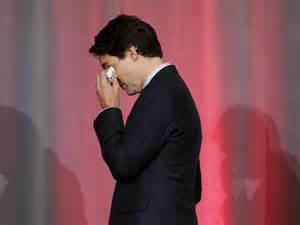 Didn’t you feel closer to Justin Trudeau when he started crying? Of course you did. 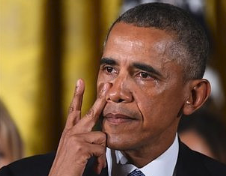 And what about when Barak Obama’s ‘poker face’ disappeared or should I say, as mentioned on CNN, when President Spock cracked? Vulnerability works hand in hand with Authenticity. They cannot be separated. 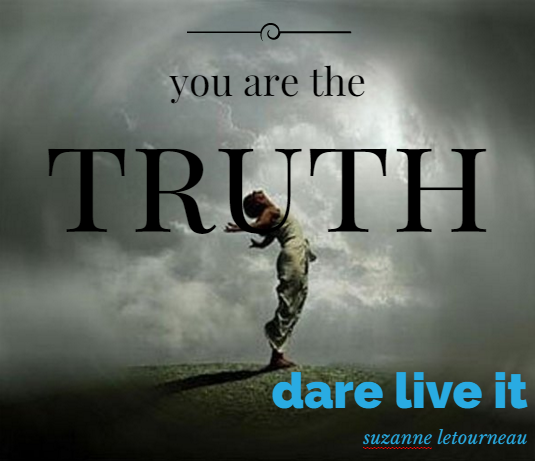 2016 the year to live your life in Authentic Vulnerability and Vulnerable Authenticity! WOW! Are you ready to get closer and let yourself be loved for who you truly are? Are you willing to surrender and allow forgiveness to take place? Authenticity matters, and it matters today more then it ever did. 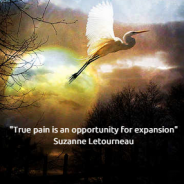 Take the time to share your insights on vulnerability and join my SOAR Movement! Besides being a month for partying with family and friends, December is always a month for Reflection. Reflection on what you have accomplished or not in the past 12 months, resolutions you have made and kept or not, goals you have set and reached or not, commitments you have completed or not, forgiveness that happened or not, etc. It is also a perfect time to reflect on your values. Have you honored and respected your most important values or have you allowed yourself and/or someone else to violate them? Look back, be honest and dare answer the painful truth. Reflection happens in a matter of seconds not hours. Your heart knows, your higher self knows, YOU KNOW. So, what will it be? Another year of pretension, limitation and aversion or will you choose recognition, expansion, and appreciation of your true self, your true gifts and your true purpose? Wayne Dyer, Internationally renowned author said: “Don’t die with your music still in you“. 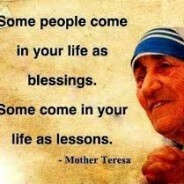 Simple words and so profound. It means that you don’t allow yourself to live any life other than the one you were born to live. Are you living the life you were born to live? Or are just floating through it? Are you taking the time to ask yourself those disturbing, meaningful, challenging questions and more, are you allowing yourself to LIVE those questions? If you are ready to step up into your REAL LIFE, the one you are meant to live, make a difference, leave your mark, your legacy and never question yourself again, then let’s talk NOW. 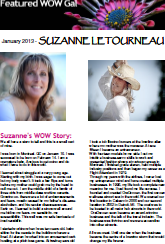 Email me at suzanne@suzanneletourneau.com to book your heart to heart conversation with me. In the subject box just put I AM READY. 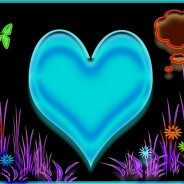 In this heart to heart conversation we will strip your fears, your doubts, your restrictions and discover your true love, your calling, your story. We will bring your vision to light and tap into your new discovered strengths. I am offering this for a limited time and only for the ones who are totally committed to make a change in their lives in 2016. My new program starts promptly on January 1, 2016. 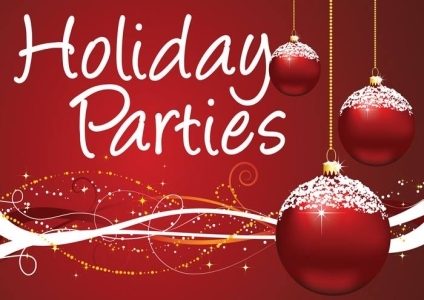 *Book your session with me before Dec. 17, 2015 and you can get into the program for half price. Why? Because an act of courage needs to be recognized. Once that is done you will be able to enjoy your Holidays and you will be totally ready to hit the road running at the beginning of 2016. Never take Your Life for granted. On Sunday, August 15, 2015 I had a bad fall. The heel of my shoe got caught in the space between the deck boards,and I went flying! I must have lost consciousness for a while because I do not remember much after that, except for my friend taking me back to my temporary summer home in St-Sauveur, Qc and, reassuring me that I was going to be alright. When I got up the next morning I could see a big cut on top of my right eye brow that was still bleeding, so I decided to put a band aid on it and went on with my day. But all day I was not feeling great; like I was not myself. I was in a daze and walking around like a zombie. So I decided to just lay down and relax. I did not have any strength and knew I could not get behind the wheel of my car to drive to the drug store and get myself the necessary stuff to clean my wound and all. So around 3:30pm, I called my younger sister who lives 20 minutes away and see if she was available to pass by. She did! Forty five minutes later she was at my door and looked at my wound and wanted to take me to the hospital but I refused. I am definitely not an hospital person. So she went to the drug store to get what was needed and proceeded in doing the cleansing and disinfecting herself. She even applied a very professional bandage. (the one you see on the picture) No nurse could have done a better job than she did. Thank you sister! Monday night I went to bed pretty early, still not feeling great. I woke up at 4:00am knowing that something was wrong but I didn’t even have the strength to get up and get my cell phone to call someone. 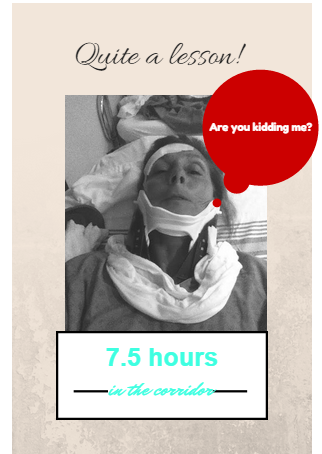 Until 7:00am, when I forced myself to get to the phone and call an ambulance. The ambulance arrived at 8:30am. Anyway, going back to this I could have died stuff, I believe that this accident happened for a reason. It takes a lot to slow me down or stop me from doing what I intend to do. Okay I was not in a big car accident, or anything major like that, but the intimate realization of: one day you are here and the next day you’re not, was much closer then ever. I am NOT immortal in this body. I am Blessed. I am Grateful. And I am Human! Questions: Which pain do I need to look at first? Which wounds do I need to heal? The ones I see or the ones I don’t see? Never Leave Your Blog Unattended! Coming from a long background experience in the airline business as a Flight Attendant, this above phrase is something that I have been brainwashed with. In the short form it is: “Never leave your luggage unattended“. Of course it’s a no-brainer! For all of you Jet-setters, you know to stick to your bag like glue; and you probably only have a small carry on to worry about. But for the occasional traveler it is very easy to get distracted by the excitement of the airport and different emotions coming up. Could be the fear of flying, agoraphobia, being in an unfamiliar environment, security checks, where do I go, do I have time, will the kids behave, or perhaps you are attracted by all the Branded shops they have these day, such as Victoria Secret, MAC, G2000, Levi’s and let’s not forget the attractive Duty free, and the theme restaurants. 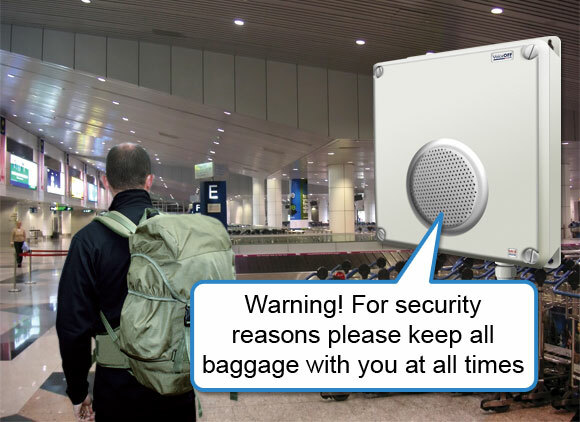 Leaving your luggage unattended could be the start of a nightmare holiday. Just imagine…all your personal information gone, your personal belongings, your little black book or these days your IPhone with all your personal contact gone, your traveling itinerary, your privacy gone. Why is it the same with your Blog? We all need a community and your blog is where you develop and nourish your community. It is where you can express your unique voice and share your message. It is also where you can inspire others, when allowing yourself to be in your vulnerable authenticity. And remember that vulnerability is just to be open and sensitive to yourself first and, then to others. Your blog is also where you can directly express your POV – Point of View and stand up for your Core Values. So stick to your blog like glue! Keep these relationship going, the sharing open,the words flowing, and the inspiration shining. And I promise I will to. I realize I have not been in contact with you for a few months now and I sincerely apologize. I do not have excuses. I have reasons. And if you stay tuned, I will share some of the things I have learned over the summer. For those of you who know me very well, you know that I thrive on getting out of my comfort zone and pushing the limits in all aspects. Growing in expansion, I like to call it. I am also inviting you to post your comments on the topic of the day, or the week or the month. Our stories are all intertwined. And I am opening my heart to your inspiration. Thank you for being you and for being here. 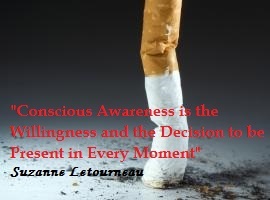 Living in Concious Awareness of the experience is something that we all need to practice. Most of us choose to live in the busy-ness of the experience, therefore on the superficiality of it and out of the moment. Similar type of experiences will probably keep on coming back until we learn from each one of them. And to learn from them, we need to totally surrender. We all have an “iT” to get over, some challenge in life that seems difficult, if not impossible, to overcome. This may be a problem with health, a past trauma, or stressful situation in our finances or career. Sometimes the “iT” stems from broken relationships or negative judgments we’ve encountered during our journey. 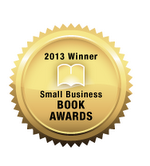 In this award winning book Mary combines lighthearted personal stories with ancient wisdom keys. She shares life-changing insights that will help you drive away the dark shadows from your life and break free from whatever is holding you back from your full potential. These keys transformed Mary and they can change your life! Inspiration and Reflection for All Times, is based on Ecclesiastes 3 and takes the reader on a yearlong journey, month by month. Starting with winter, the book moves through the natural seasons of the year. Each chapter correlates with a month and offers personal testimony and insights for the various spiritual seasons that we all experience. The theme of the book is that God’s love and presence is with us through every time and every season of our lives. Are You Kidding Me? My Life with an Extremely Loud Family, Bathroom Calamities, and Crazy Relatives, a compilation of hilarious, surprising, and relatable stories. The book reached #4 on Amazon’s Hot New Releases list for its category during its debut week. The activities in DWAG include short projects, exercises or excursions. The book is divided into four sections—mind, body, soul and funny bone—with twenty-five activities in each. The perfect get-together companion, Drink Wine and Giggle uses the power of girlfriends to inspire women to get the life they deserve. Buy their book on Amazon or visit their website www.drinkwineandgiggle.com for more giggles. No one ever tells you about all of the crap that happens to you when you’re pregnant. We are three thirty-something women who were fortunate enough to be pregnant at the same time. We began sharing our questions, fears, humor, and experiences through emails, which became a lifeline and virtual support group. We are here to tell you the good, the bad, and the ugly of our experiences. This book is for anyone who wants to have fun, who wants to laugh, who wants to know what it is like to be afraid for your baby, who doesn’t mind poking fun at herself, who can lay it all out there. Even if you never have any intention of being pregnant, you can laugh with us – or at us. Living your life in conscious awareness also brings this new possibility of the more powerful, security of the unknown versus the security of the known. Once you realize this, you also realize how cliche this phrase is: “Afraid of the unknown” How can you be afraid of what you do NOT know? Impossible. Nevertheless it doesn’t stop anyone to keep on limiting themselves behind this short little phrase. These words of theirs, have become a belief.